Our results and policy experiments suggest that a cigarette tax that varies based on nicotine levels would be more effective in delivering health benefits. One popular anti-cigarette campaign slogan says that “tobacco companies kill their best customers.” New research by NYU Stern Professor Vishal Singh shows that certain accepted antismoking measures are unwitting accomplices. 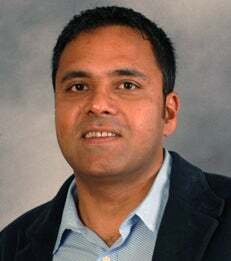 In “The Unintended Consequences of Countermarketing Strategies: How Particular Antismoking Measures May Shift Consumers to More Dangerous Cigarettes,” Professor Singh and co-authors Yanwen Wang, of the Leeds School of Business at University of Colorado Boulder, and Michael Lewis, of Emory University, investigate the efficacy of various antismoking measures on cigarette category sales, how those measures change consumption patterns, and how shifts in consumption affect various segments of society. The authors analyzed point-of-sales data from a large number of retail outlets spanning 38 states in the US between 2001 and 2007. The analysis factored in attributes such as nicotine content of all major brands and types of cigarettes, as well as brand and corporate advertising expenditures. For their counter-marketing strategy analysis, they collected data for the relevant locations on cigarette excise taxes, the nature and extent of smoke-free restrictions reported and categorized by the Centers for Disease Control, and TV ratings that helped quantify antismoking advertising. The analysis showed that excise taxes, while effective in reducing overall consumption, can also lead consumers to switch to higher-nicotine cigarettes. This is because cigarette taxes are currently applied at the per pack level and without regard to nicotine levels, and consumers may respond to increasing cigarette taxes by switching to higher nicotine products to minimize the cost per unit of nicotine. This is particularly true in lower income neighborhoods and can have significant health consequences since higher nicotine levels will increase addiction levels. In terms of other antismoking campaigns, health-oriented advertising is found to be more effective than smoke-free policies such as bans in restaurants or bars. “Our results and policy experiments suggest that a cigarette tax that varies based on nicotine levels would be more effective in delivering health benefits,” the authors conclude, adding that educational antismoking campaigns deserve increased emphasis to counter pro-smoking advertising.